Home › Tools › Is Cash Tracking System A Scam? What is Cash Tracking System? Is Cash Tracking System a scam? In this review, I hope to help you understand how this system works or maybe how it doesn’t work. To explain what you might be getting into and to help avoid this pitfall. The name is usually shortened to CTS, and as a heads up, I might shorten it to this throughout this review. Well, let’s get right into this. Cash Tracking System is, in a nutshell, a cash gifting scheme. Yep scheme! More on this later. What is a cash gifting and how does it work? This has been around for numerous years, in different forms called by different names, for example, remember chain letters. Chain letters are a form of cash gifting. Maybe you remember this from the eighties and nineties. Basically, you received a list of names, you gave a dollar to a determined number of people on that list then added your name to the list. In theory, this was supposed to make you rich, well long story short, it didn’t! Basically, cash gifting is a term used in estate planning in which a person is allowed to gift someone up to $12,000 without that person paying taxes on that gift. Anytime you give someone money above that amount you are taxed. To divulge any information to at all about Cash Tracking System you must first sign up with them, such as full name, email address, phone number and create a password. The reason for this is you must be invited to be a member, a hierarchy of a private members-only club. So the only way of being a member is to be invited. Once invited you are given a password to the site. You will be greeted by an introduction page and the 7 step process. Where all of their methods of earning an overview of how Cash Tracking System works. So CTS is made up of 3 levels of cash gifting, then with two other if you wish to be fully optimized by combining the levels. So a possibility of 5 levels. What you gift to the person above you determines, why you, in turn, will be gifted to you. So if you only gift $500 to the person above you, if someone joins below you, will only be paid if that person joins at the same level ($500). If they join at the $1000 level, you earn nothing. To join you must decide what amount you are willing to depart with to the person who invited you; this is called a cash pledge or a cash gift. This money is usually sent via Fed-Ex overnight delivery. Most people would also hide the money in several envelopes within a magazine to disguise the cash hidden within. Once joined (coughed up the money) they are then able to receive cash pledges or gifts but only first by giving the first person to sign up under them to the person that invited them in CTS. What? Yep…give. So even if you do get someone to sign up under you, you will not see any money from doing that, by default, it is given to your inviter. This is called “1-up”. Are you willing to give someone up to $3,500.00 (cash gifting) with no guarantee of seeing any return? I’m not. Just sitting there, waiting for the Fed-Ex package to arrive, as the days go by and nobody has sent you that much cash. Forget that noise. Well when you hid things, things like your website, phone numbers, who owns the company, or actually company (btw, did you know it’s not even a company?) or a product, this is, in fact, a scam. This is the first rule in determining if a product or service is a scam. Transparency, if it doesn’t have transparency guess what? Yep, a scam. This company has no transparency, so run, full sprint away from Cash Tracking System. Claims to be in existence since 2009. Zero transparency. Your little voice should be screaming SCAM ALERT! Anything that promises overnight success or quick money, you should immediately stop and run as fast as you can the other direction. Your money will thank you later. Complaints of receiving phone calls every day with prerecorded messages that last up to 10 minutes. Promises lead to a large amount of people that also want to make money. 5,000 to 10,000 leads. Really…In reality, these are probably dead-end leads, if not why doesn’t the person use these great leads for himself. Plus there are only so many leads to grow around. Deceiving practice of not even having the same name as their website. This is immediately a red flag. No real product is being sold. This equals a scheme. To find out more information you must sign up. Transparency is lacking here. Low interest around cash gifting for obvious reason. A monthly fee of $34.95 for hosting a website with a $25.00 setup fee. Overpriced for sure! Severely overpriced optional courses to help with you become successful by taking more money from you in order to train you. Try on the order of $600.00 to $1,100.00. The free websites they give you are clones of other websites, so you are just a carbon copy of other sites. You won’t stand out in any way. Avoid this! This is my only tip. I don’t recommend alternatives to apparent scams, as what is the point of recommending another scam to someone. Just avoid this. Who is Cash Tracking System for? People that want to separate their money from their person, then spend their valuable time (wasted time) trying to find other people to sign up under them. I am being sarcastic. Sure some people (mostly the ones at the top) probably made some money, but for the most part regular people possibly thousands of them made nothing. Are you the rule or the exception? What I see they have more training other than the 7 step process but that my friend will cost you. From around $600.0 to 1,100.00 in additional money. They’re not setting you up to succeed but drain you of money. Supposedly they have a Questions and Answers calls once or twice a week to answer any additional questions prospective members might have. The price varies from $500.00 to $3,500, plus website hosting fees and maintenance of $35.00. Stay Away!! Caution Scam! Are you really willing to give someone money and expect to get money in return, with no guarantee? Not this guy. It might seem alluring with some guy opening Fed-Ex packages with thousands of dollars but trust me, you will lose money, and you will lose it fast. Cash Tracking System is not a legitimate way to make money. Cash Tracking System is a scam! Do yourself a favor and stay away from this cash gifting system. Typical, I present the truth. Transparency and Promising the world is all I need to say to you. 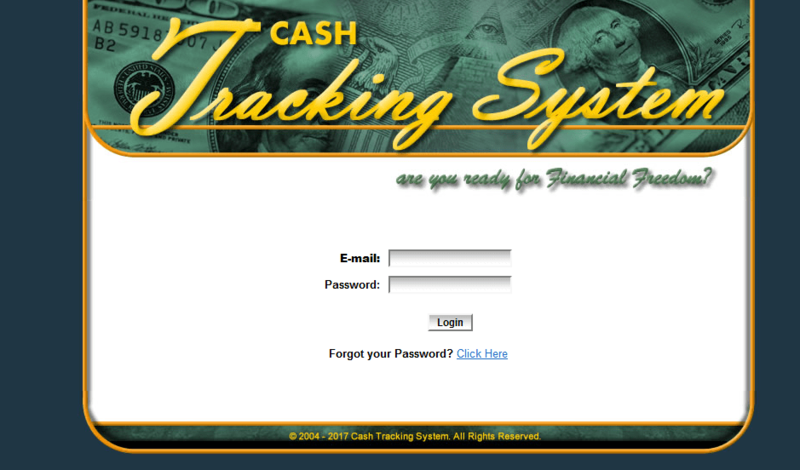 As Cash Tracking system has many different websites and names. As well as your site immediately promotes becoming the top 3% of the population in terms of wealth and that they also can attain this right now. Instant success, what totally B.S. Deceptive practices, I would never promote something unattainable. Promise the world, and deliver nothing. This is a website design to help people find legitimate companies online, I promote legitimate companies and expose scams. I also deliver useful information and resources to people as well as promote what works, not scams, and its is very obvious that Cash Tracking System is a scam. If I promote it, I researched it and it must be transparent. Your company is not. Why not? 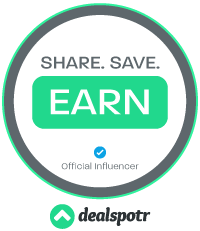 I promote mostly affiliate marketing, it is 100% consider to be nothing like or at all a Ponsai (Ponzi) or pyramid scheme. You’re a hater and dead wrong. Do some real research. You said if a person comes in higher than what you pledged the a person gets nothing; this is false 1.the 1up makes it fair for everyone. 2. Once qualified and someone pledges higher than the level you’re on then you receive your level funds and the rest goes to your inviter which it should until you upgrade. Cut out the B.S buddy. The videos don’t promise anything infact they make it clear you have to put in work to win. I very well could be wrong on the one specific point you make, but in general I believe what I wrote about Cash Tracking System. Are you making money from them? What about all the lack of transparency? What about the overcharging of hosting a website? Are their any points in my review I get right? Or is it all wrong, Justin? I think you are new to CTS and have yet to be burnt. I am questioning the “fairness”… okay, so a person signs up to the lowest level ($500) and after qualifying let’s say they rack up another invite for the big $3,500… I think it is fair enough that they get only $500 of the $3,500 but I don’t think it is fair that the new sign up that they worked to get will be rolled back to the other person who is. How is that fair? Just curious… which part of this do you think is not transparent? From my understanding (from watching the videos), they are calling it a private membership to a club of like-minded individuals for which you send a cash gift pledge to your inviter. You then turn around and invite others to join this private club and collect the cash pledges from them. It doesn’t look as though there is any more to this opportunity. From what they say, it is not a company, just a private club, like Costco, DirectBuy, or a country club. With many private clubs, there are membership fees and then they also offer products or services that you can purchase for additional fees (eg. groceries, golf tee times, golf equipment and clothing, furniture, etc.) CTS has a one-time membership fee. The website would be required to bring new members in. They say the landing page is optional ($129 annual fee plus $25 one-time setup fee), but it seems necessary to conduct lead generating invitation activities. As far as clone websites… this is a typical feature of any multi-level marketing company. It is up to the individual to do the marketing and share their individual link with potential invitees. Generally, these sites are not designed to get ranked on Google and get organic traffic. It looks as though each member is able to choose a custom URL that they can attach to said website, rather than just being a subdomain of the website. Many would argue that is a plus. As far as overcharging for a website… that is the case with many MLM-type companies as well. On the other hand, there is no upfront cost or time commitment to create a website from the ground up. Not everyone wants to create websites or pay thousands of dollars for a website. This type of system allows people to “lease” a website for very little money upfront. I do not see anything wrong with that. CTS also seems to be very upfront about the costs to become a member and the costs to get the website and landing page started and to keep it going. They also mention that lead generation can cost anywhere from free to $50 or more for lead lists. There are many websites and businesses that require the entering of contact information before they give you too much information. It is a pretty standard feature of online marketing and lead generation. Every marketer and salesperson wants to follow up with their leads, whether by email or phone. CTS is no different. You claim in “The Bad” that there are lots of fees. As far as I can tell, there is the entry fee, website fee, and optional advanced training fees. Is that a lot of fees? There is a lot of free training that comes with the website. These fees seem pretty typical to me when compared to any MLM. Additionally, most MLMs force people to purchase products that they accumulate stock of because they don’t use all the products they have to order each month. I am not calling CTS a business, but starting any standard business will cost more than the basic startup to be a part of CTS. Setting up a corporate entity can cost $300 or more, building a website takes a lot of time or money… even a simple Wix website that you have to build yourself will cost a minimum of $15 per month for hosting. And unless one is providing a service, there will be more money spent on inventory, equipment, franchise fees, etc. Everything I have seen has stated that this “club” has been around since 2001, not 2009 as you have stated. If you have seen/heard 2009, then this is an obvious discrepancy. I am not a member of CTS… I have been invited and I pay attention and ask a lot of questions. I am also an entrepreneur and marketer and creator of several websites. I purchased my first online marketing program over 15 years ago, and it was a waste of $60 because I didn’t want to write thousands of articles on a regular basis. I purchased another program for $300 that instructed me to create dozens to hundreds of affiliate websites to make money, which I also did not want to do. Since then, I have explored and purchased many other training programs. Most of them are not transparent about what they will teach you or what it will take. You don’t find out until after you part with your hard-earned money that you don’t want to do what they are telling you to do. And some of them will not give a refund unless you can prove that you did what they taught and it just didn’t work (I lost $3500 on another totally legitimate program that way.) CTS may be seen as a scheme or scam by many people, but in my opinion, at least they are upfront about what they are and how it works. You will not get your “gift” back, and you must invite others into the club to receive gifts. There are no guarantees, as with any education or training program or business opportunity. What I like about CTS is that you can choose your entry level. You can join for a fairly low membership cost of $500, bring a few people in, see if and how it works, and then decide if you want to upgrade your membership. At the entry level, the worst that could happen is you will spend $715 to get started, and you will have access to training on the website, access to weekly training calls, and a whole turn-key system for handling leads, along with a support system for your leads, including 2 weekly question and answer calls and support from your inviter, AS WELL AS the opportunity to collect money in the form of pledge gifts. Yes, you have to give your first pledge to your inviter, but in the grand scheme of things, you only have to bring in 3 people to be ahead. The worst part about this is that if you get people to join at a higher level than you, you won’t collect the pledge amount for the levels above yours. As far as I know, this is a “lifetime membership”, but I’m not sure if there are any benefits to being a part of it if you are not recruiting new pledges or whether they have an annual conference or anything like that. I don’t know about anyone else, but I would prefer to do some simple PAID lead generation to find people that are like minded and interested in “the club” than to create dozens of websites and email campaigns on a daily basis. There is no guarantee no matter what you choose to spend time or money on. You just have to figure out what you are willing to do to make money and then dedicate yourself to taking massive action in that direction. I am not 100% sure that I will join CTS, but I wanted to share another perspective while I am figuring it out. Thanks for sharing your opinions and clarify everything, you have a lot of valid points that are worthy of consideration.